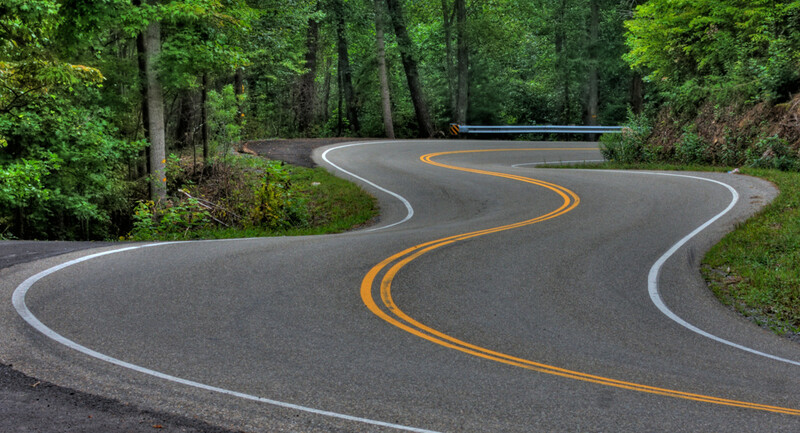 Once or twice a year we try to make it up to the Appalachian mountains for some serious driving zen. The amazing roads, beautiful scenery, and slower pace of life all make it one of the best places for a vacation (especially for people with a car addiction). 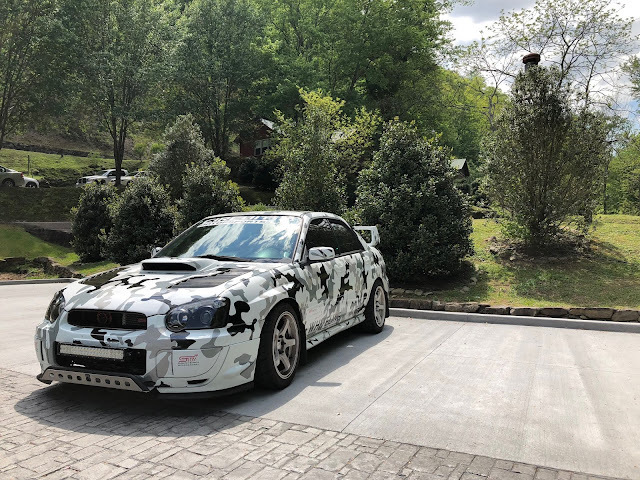 The owner, Tristan, had big plans this year for his 2005 STi , including a 6 piston front brake kit and lightweight chassis bracing. 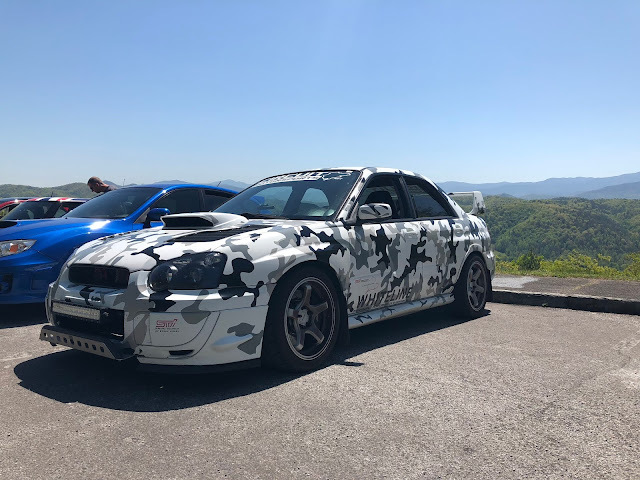 His goal was to add some go-fast parts that would improve the braking and handling of the car on the Touge, or "Mountain passes". There were also some important maintenance and "longevity" items that needed to be checked off the list before departure. 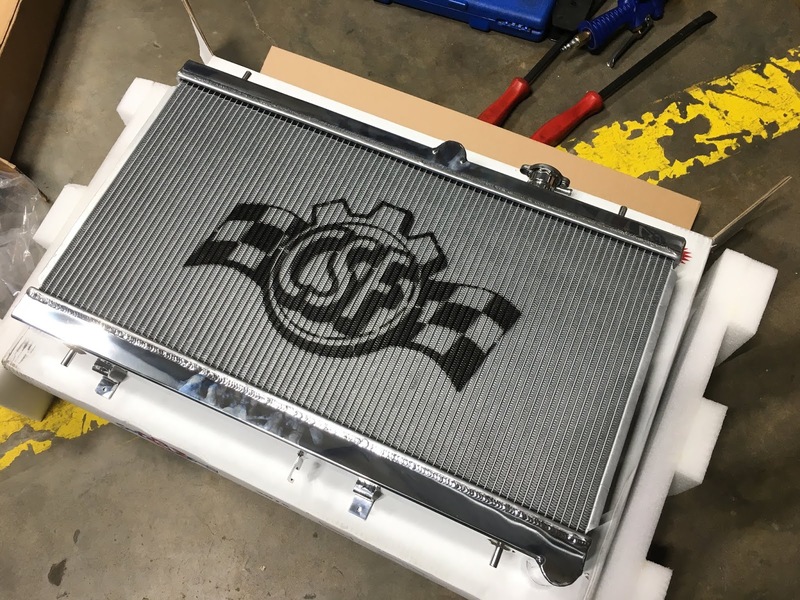 Read on to see some of the neat installs we did for this years trip preparations! So with the long list of road-trip prep and maintenance items done, we moved on to the fun stuff! 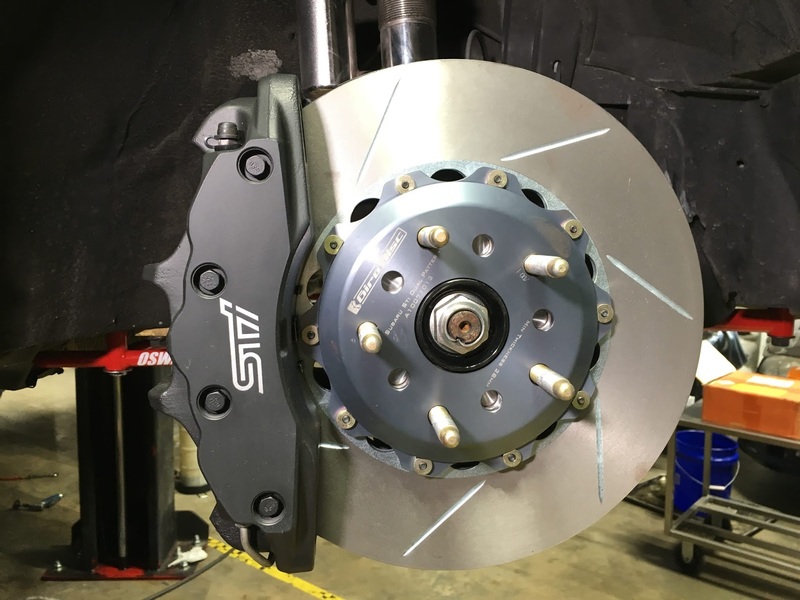 One of the biggest upgrades this year was for the brakes. 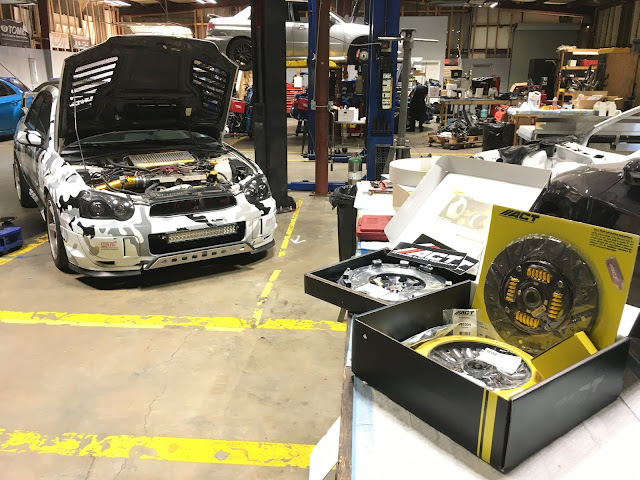 We decided to use an Innovate bracket kit to mount a set of Corvette C6 6-piston calipers. The 6 piston calipers provide a number of advantages over the factory STi 4 piston Brembos: The caliper is a one piece casting which provides better rigidity, 6 pistons provide more pad surface area (when using padlets there is more airflow around the pads as well), the larger calipers hold more brake fluid, and they just look damn good. 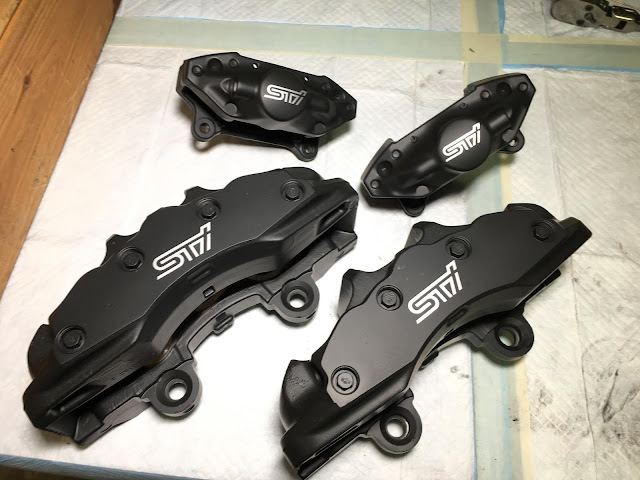 Before installing the calipers we had them blasted and ceramic coated, with a nice little STi logo in the middle for some visual appeal. 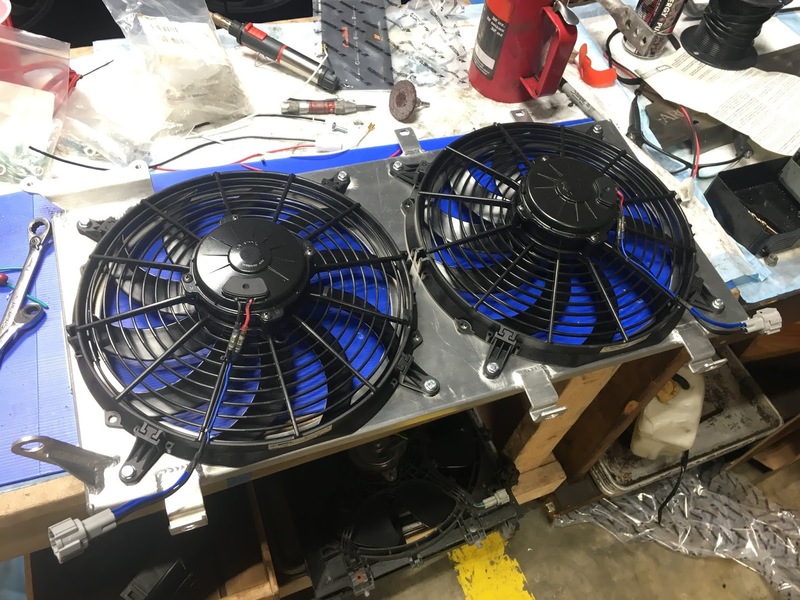 They came out great and the ceramic coating is good to about 1,800 degrees F, which should hold up better than standard powder coating under the high heat these will no doubt see. The calipers hooked right up to our current stainless steel brake lines which was a plus. We decided to use the standard 13” rotor setup, as we wanted to keep a 17” wheel and not be forced to go up to a larger 18” wheel. The 17” wheel combo is favorable for our style of driving because it weighs less, will help acceleration, and just looks better in our opinion on the GD chassis. 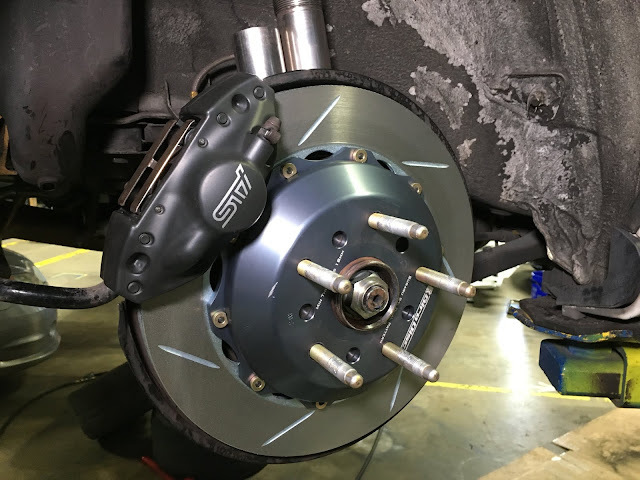 The brake pads we used are Ferodo DS2500s and we notched it up even further with a set of beautiful Girodisc 2-piece rotors. These rotors use an aluminum center hat, which not only saves weight, but will aid in cooling the rotor down and mitigate heat transfer to the hubs. The weight savings comes out to about 3-4 pounds per corner, which when talking unsprung weight is a big deal. Overall the braking system was now ready for some serious work, and we were pleased with the results so far. 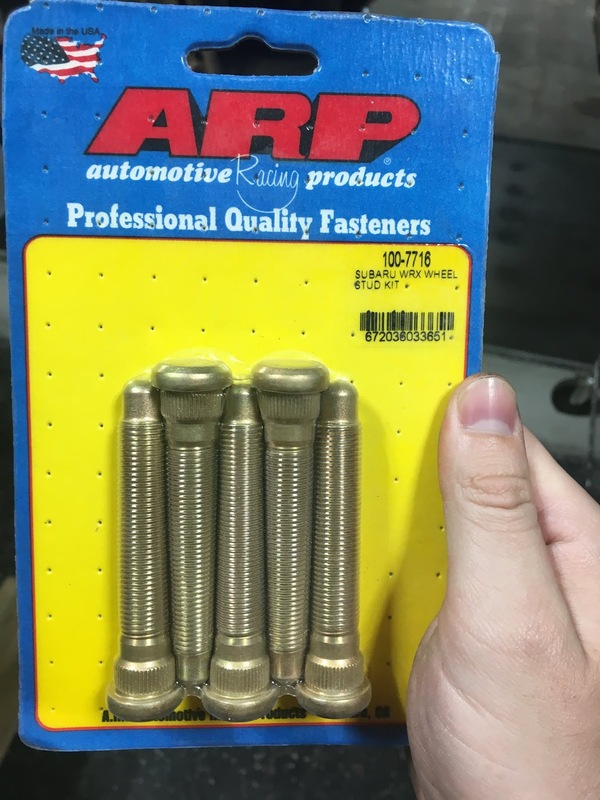 In addition to all the braking components we added a full set of ARP extended wheel studs. The Innovate kit includes a small spacer that goes between the hub and rotor to center the rotor properly in the new 6 piston caliper. The result is that the stock wheel studs now have less threads to be engaged by the lugnuts. Anytime you lose thread engagement you are putting more stress on both the studs and the lugnuts, and under extreme conditions (such as a track day, autox, or mountain run) there is the potential for a failure – the kind of failure where a wheel comes flying off. We wanted to avoid to this, so we went with the ARP studs. These are much longer than the factory wheel studs and stronger, so it’s a win-win. 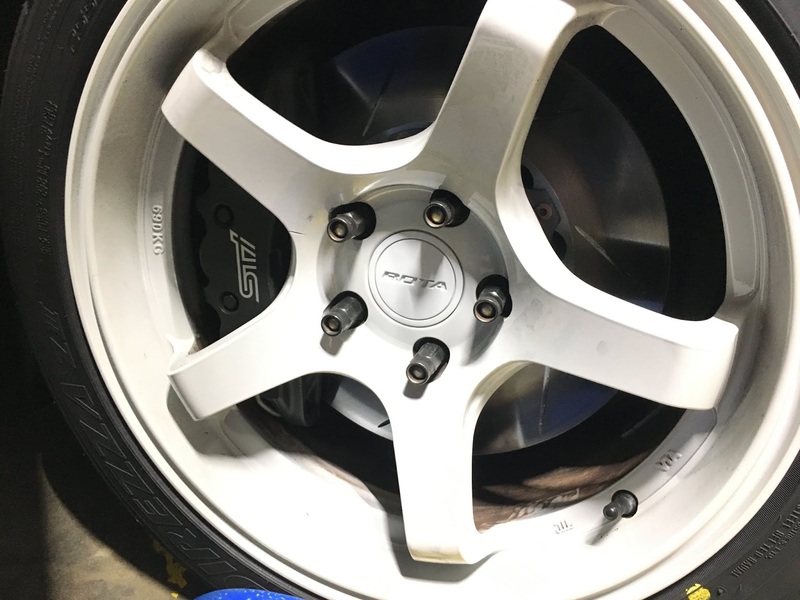 We highly recommend studs like these when using wider wheels, spacers, or when you simply need to remove and install wheels/lugnuts often (like in racing, autox, etc.). Every time a lugnut is removed and then torqued down the stud is slightly fatigued, and over many removals and installations they can fatigue to the point of failure. So, if you’re the kind of guy or girl that removes and install wheels a lot, consider upgrading! Next up was a piece we had been looking at for some time, the Oswald lightweight front subframe brace. This brace replaces the heavy steel u-brace at the front of the car. The stock brace is in place for a few reasons including crash safety, rigidity, and as a mounting point. The issue is, it’s heavy at about 25 pounds and doesn’t do a whole lot for chassis stiffness since it’s a large open “U” shape. 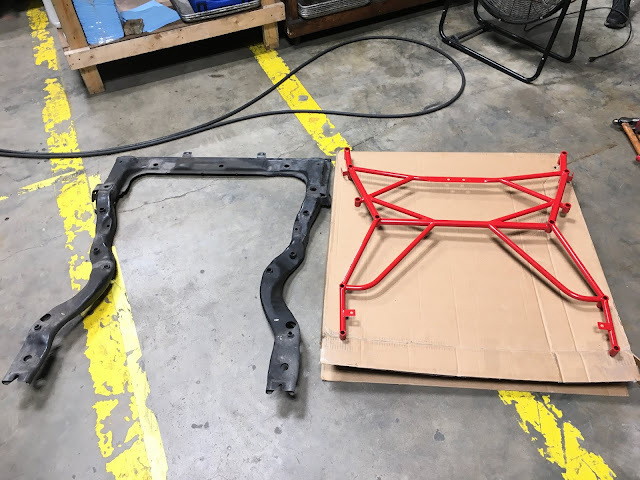 The Oswald brace is a lot lighter at about 10 pounds, and has multiple points of connection to the chassis and suspension up front to stiffen it all up. The weight is also moved rearward, so in addition to the raw weight savings, it moves quite a bit of weight off the nose of the car. We removed the factory u-brace, bolted up the Oswald brace, and it all lined up very well with just a little bit of fussing. 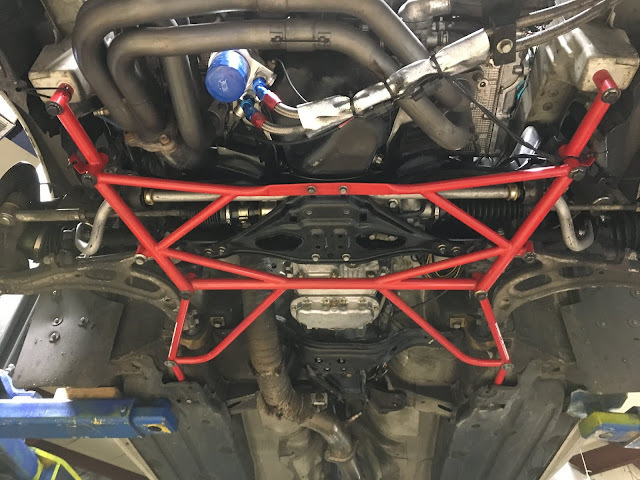 The brace is coated in a very nice red powdercoat and looks great under the car. 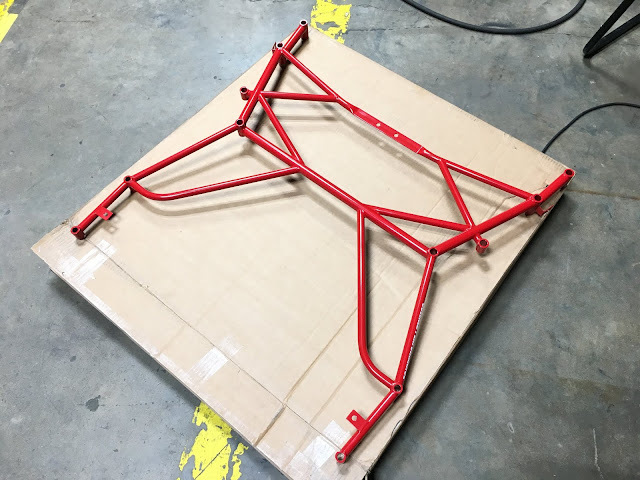 We also opted for the extra front mounting plate, which provides the mounting points needed to mount an undertray (or in our case a skid-plate) that are lost when removing the factory u-brace. Bolted in place, it allowed our skid-plate to be installed again and it all fit well and looked good. We now have less weight up front and some added stiffness, which should aid in handling and better steering feel. Another small item we installed as an upgrade, but is really more of a maintenance item, is a Fluidampr crank pulley. We had an aluminum lightweight pulley on the car that we installed as a test item, and it just kind of stayed there awhile…. We knew it wasn’t aiding in performance, and lightweight pulleys are generally a bad idea. After we tested it to see if there was any perceived performance gain, and if there was any dyno gains (there was not in either case) it had served it’s purpose and needed to go. The issue with lightweight pulleys is that they do not absorb vibrations that are a result of normal engine operation. 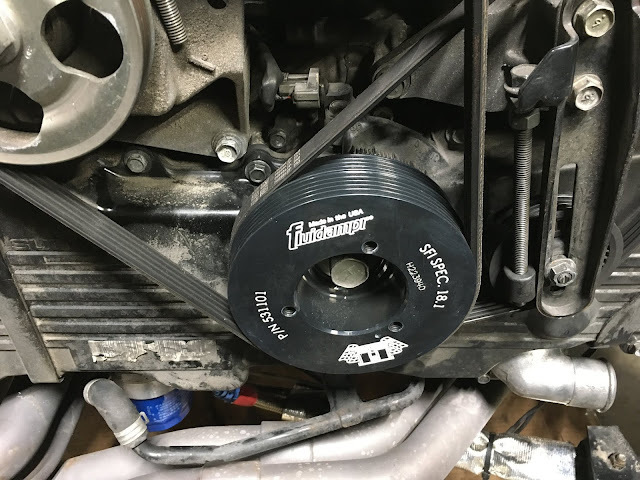 A factory crank pulley is designed to absorb some of those vibrations, when you remove that and install something that absorbs virtually none of those vibrations, they are now transmitted into the rotating assembly of the engine instead. 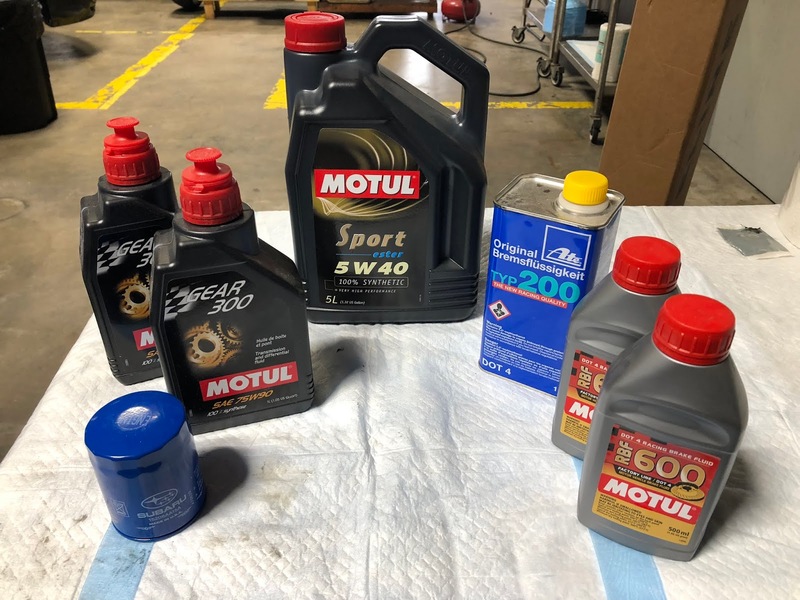 This can cause premature wear in things like bearings, crankshafts, etc. and can attribute to bearing failure. Not good. The opposite is true of something like a Fluid filled crank pulley, these are designed to absorb even more vibrations over the stock pulley. This is good, because it allows a smoother operation of the engines rotating assembly, which can actually help an engine to last longer. In some cases you can even make more power, it’s science/magic! The install is very straightforward – remove old pulley, install new one, torque bolt. With our new pulley in place we were pleased to know our engine would run a littler happier. With the mods installed, and the car running smoothly, we went out to bed in the brakes. 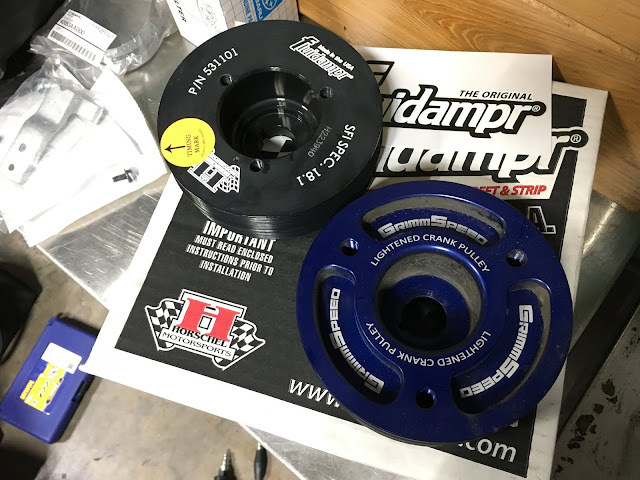 This is a very important step that people tend to skip after installing new pads or rotors. 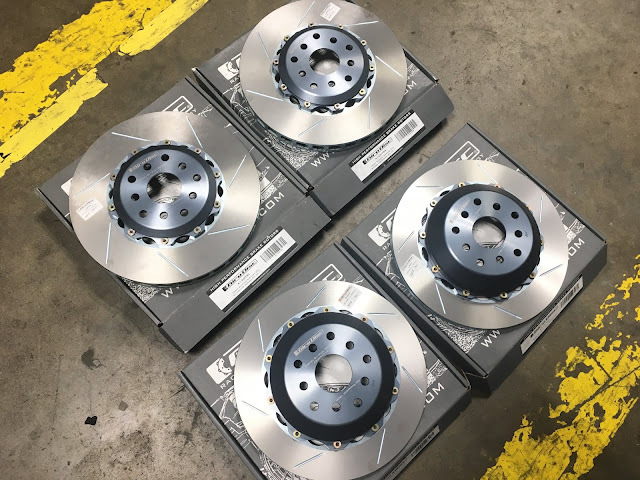 If not properly bedded in, the pads/rotors will not be able to operate properly, and you can actually cause issues with uneven pad deposits which can result in poor performance and brake shudder. With the bed in procedure taken care of, and the car running well, we parked it to let the brakes cool overnight. We checked the car again the next morning for any leaks, and then proceeded to drive the car over the the course of a week to break-in the new clutch kit, and continually check the car for any issues prior to our trip departure. We’ll have an update posted soon with how all of these mods did in the mountains, stay tuned!